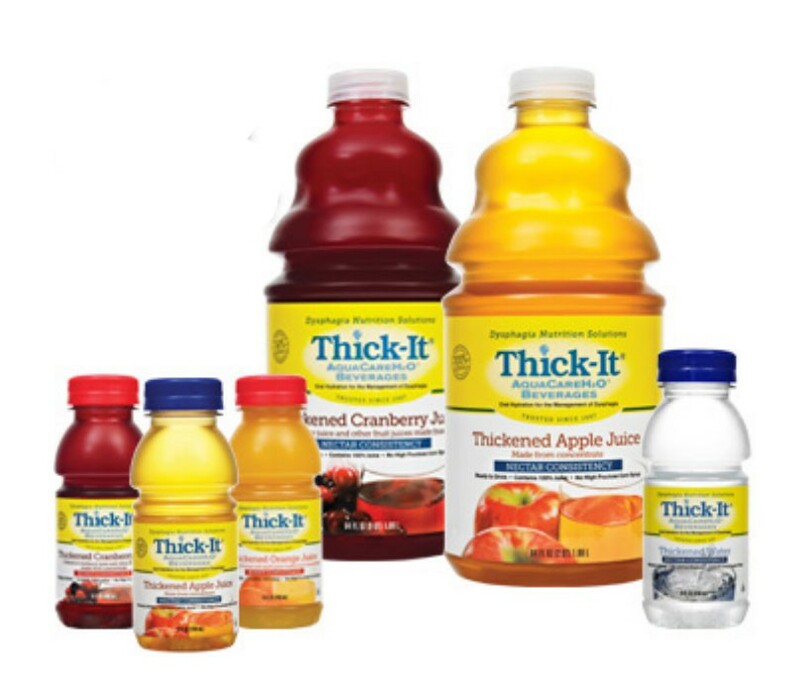 Thick-It AquaCare H20 Thickened Liquids, manufactured by Nestle, are pre-thickened beverages that are ready to serve and consume by patients with dysphagia or swallowing disorders. The thick consistency of these Food Thickeners reduces the risk of aspirating while drinking, allowing individuals with trouble swallowing thin liquids to swallow safely. 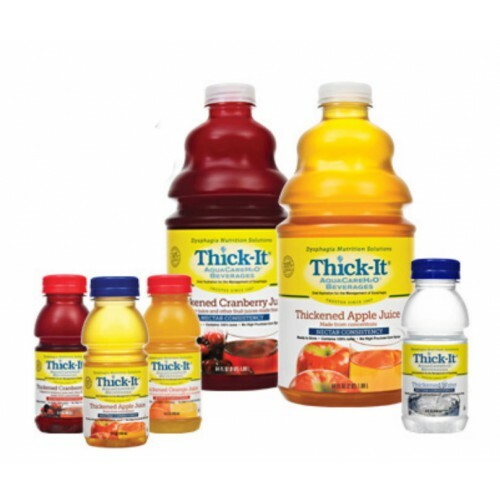 Thick-It AquaCare beverages are available in two consistencies; Honey and Nectar. Two re-sealable bottle sizes (8 Ounce and 64 Ounce) make traveling or portioning easier than ever. Made with pure Artesian mineral water from 600 feet underground, they are available in Water, Apple Juice, Cranberry Juice, Orange Juice, and Regular/Decaffeinated Coffee flavors. Regardless of if you heat, chill, or freeze it, the Thick-It AquaCare H20 Thickened Liquids will maintain its consistency so you can be sure you're getting the correct consistency every time. Nectar Consistency liquids are approximately as thick as a milkshake and should pour in a continuous stream without "breaking" into drops. Honey Consistency liquids stick to the sides of the cup-like honey and pour very slowly. 4 flavor selections: Water, Apple Juice, Cranberry Juice, or Orange Juice. Maintains proper consistency over time and temperature. Dietary Friendly - Kosher, Kosher for Passover, and Gluten Free. Many of the products we carry are the decisions of the manufacturer. Other outside factors may have also been included into why the item is no longer on our website. It was just what we were looking for, perfect! I was pleased with the service and how competant they were in their service delivery. Their prices are quite good also.